With SEC (and all the other teams) football right around the corner, I had to post something awesome I saw this weekend. A friend was in town and I stayed with her at her hotel downtown. 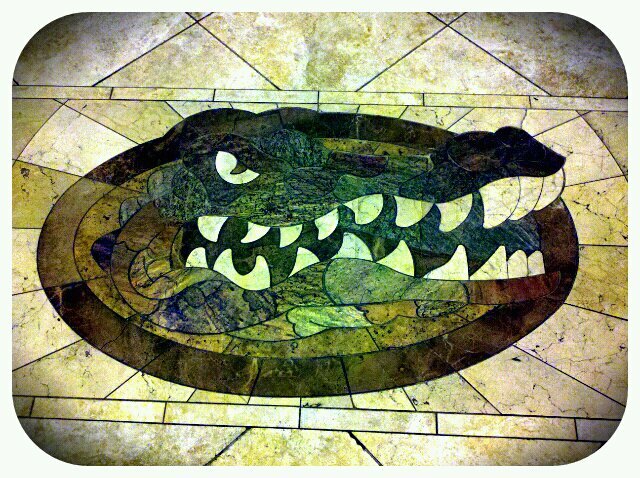 The Hampton Inn in Gainesville is amaizng. It's not really like any other location. 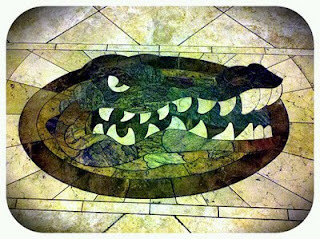 When you walk into the lobby, this is laid into the tile.